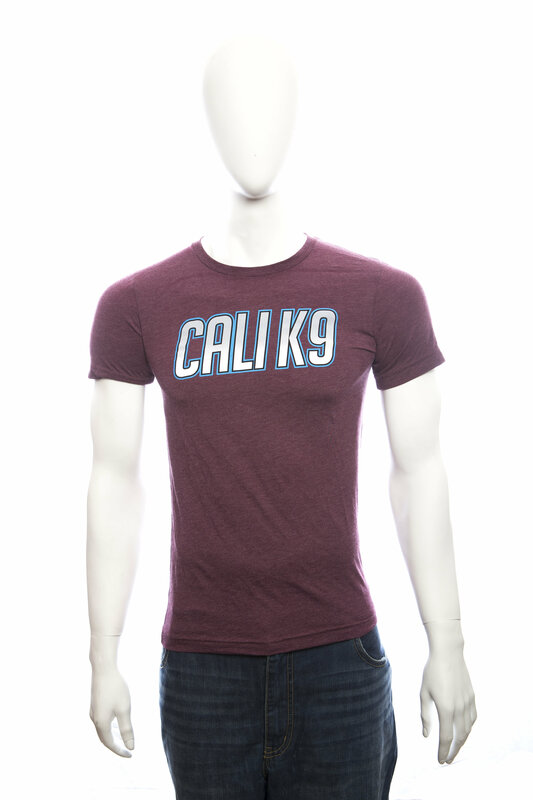 Dress up in this flattering Cali K9 logo T shirt for a date with your dog! Machine wash warm, inside out, with like colors. Use only non-chlorine bleach. Tumble dry medium. Do not iron. Do not dry clean. Avoid ironing the design. HAVE A QUESTION? 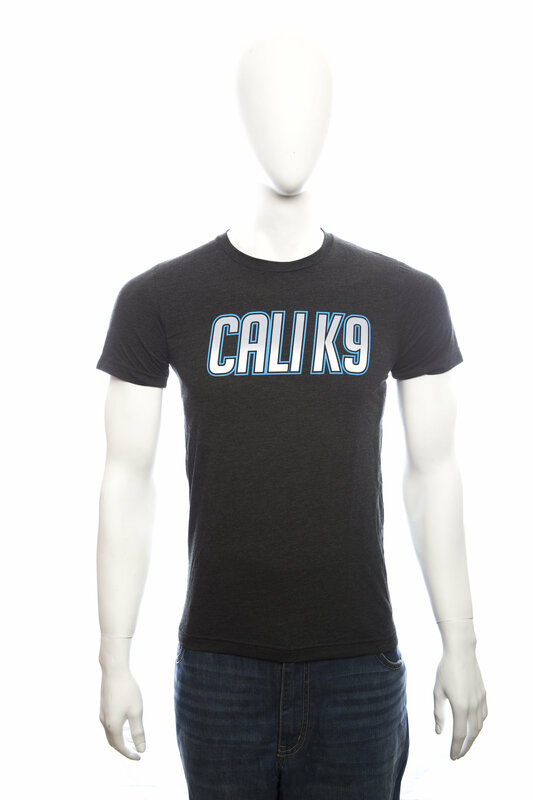 DROP CALI K9® A NOTE! 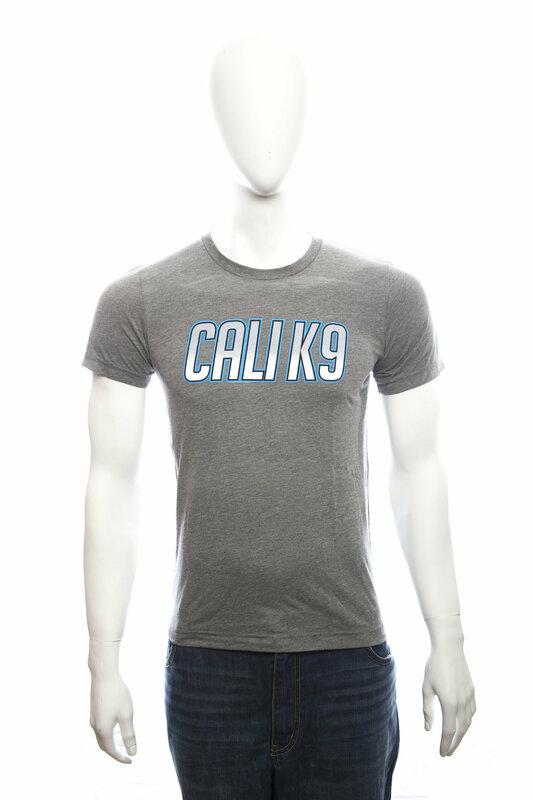 California K9 Solutions® LLC - Cali K9® Service Area: San Francisco Bay Area, San Jose-Sunnyvale-Santa Clara Metropolitan Area, Silicon Valley, Santa Clara County, San Jose, Alum Rock, Berryessa, Almaden, Willow Glen, Little Saigon, Buena Vista, Silver Creek, Luna Park, Japantown, Evergreen, Seven Trees, Rose Garden, Little Portugal, East Foothills, South San Jose, Kennedy, Summerside, West Valley, Cambrian Park, Campbell, Los Gatos, Saratoga, Monte Sereno, Sunnyvale, Cupertino, Mountain View, Los Altos, Los Altos Hills, Coyote, San Martin, Morgan Hill, Gilroy, Fremont, Milpitas.